Can you just be a little bit organic? Sustaining the Unsustainable. You can't be a little bit pregnant, you either are or you aren't. - Bob Flowerdew, Radio 4's 'Gardener's Question Time', talking about organic gardening. I've never bought into the idea of 'organic' produce - there are some solid organic principals and guidelines which I think are Good Things, like reducing pesticides and biodiversity, but Organic True Believers™ would have no truck with my post-modern woolly organicity. I'll also say, I've never trusted the Organic High Priests like the Soil Association, whose take on organic food has been put through the PR mill, so that the perceived benefits are trotted out as fact and exaggerated and whose scientific credentials leave a lot to be desired. You'll remember, no doubt, that The Soil Association awarded Gillian McKeith its Consumer Education Award 2005 - information the Soil Assoc has decided should no longer be on their website. The Soil Association's current resident nutritionist, Shaun Heaton, doesn't seem much better - cue Dara O'Briain's nutritionist gag. Organic food contains fewer pesticide residues. . Don’t wait, as unfortunately many people do, to get diagnosed with cancer before you get interested in real food. Organic food contains no artificial additives such as sweeteners or colours, which a major new study has now unequivocally linked to hyperactivity, learning and behavioural problems in children. Unlike those nasty aspartame carrots that are all the rage? Organic food contains more nutrients, as confirmed again by the largest study of its kind just released, showing 20-80% more nutrients in organics. • There is no evidence to show that crops grown organically have a better nutrient content than those produced non-organically. However, it has been acknowledged that little research has been conducted to date and much of the available scientific information is out-dated or based on inadequate study design. Historically, the cost of organic food has been considerably higher than ordinary food, but this gap has closed significantly over the last number of years. Food prices in general have risen and with the current economic credit crunch, people are tightening their belts. To me, this idea is nonsense. One concept that has been used frequently with organic farming is the idea of sustainability. Usually this has been in the context of biodiversity, protection of hedgerows, maintaining the wildlife equilibrium etc - all good things, but in fact, of questionable importance if the food you are producing is not commercially viable. You end up with less 'conventional' land to provide more food. Sustainability means being able to sustain your business during tough times. How on earth can you forgo your principals? I don't think they'll be given leave to do this - the main problem I see is that it will be a PR disaster. Firstly, you are offending your True Believers™, the people who have completely bought into the Organic Religion. They will not tolerate a change to the Holy Book, and it could lead to a split. The word 'organic' will lose its meaning and brand identity (Chemists would argue this has already happened once). Secondly, you've already lost the people fleeing to Lidl who weren't true believers, and now that they've been away, it'll be difficult to get them back. The beliefs of animal welfare and no pesticides were 'nice thoughts' for them, perhaps they bought organic as a social status symbol or because they had a few extra pennies. I would have thought someone buying organic would be subject to some sort of cognitive dissonance if they went back to normal food. How could they justify their previous lavish expense? Can they really taste a difference? How many of the farmers are True Believers™ and how many converted to organic because at one time it was a lucrative business move? Can these farmers be trusted to maintain the scrupulous organic standards when bills are stacking up and produce is not going out of the gate? This is not to characterise farmers as underhanded, merely to present the situation as being a truly difficult decision. It is, however, fair to say that the broad aims would be to allow farmland to remain organic, even if the animals on it were to be fed on non-organic rations for a limited time, thereby enforcing the removal of the animals from the organic system. So you can have organic farmland, with normal livestock on it eating normal foodstock and when times get better, jump back into the Organic circle. Normal farmers trying to get into organic farming have to maintain their land as organic for three years before they get the cert. If you are in the year 2 of your 3 year run, does it count? IF so, it makes a mockery of the whole 3 year hoop. The industry’s aim is to protect the organic system for the welfare and environmental benefits it brings and ensure that progress made in expanding this sustainable method of farming is not lost. The industry's aim is to sustain the unsustainable. Science Museum carries on MMR hoax. This is the tenth year of the MMR Hoax. Of course, the media - who according to Dr Ben Goldacre in the above link are largely responsible - have switched allegiances and act as if their constant publishing of nonsense and scare stories relating to MMR never happened. At least, after ten years, the media will now admit (in accordance with what respectable health practitioners have been saying for a decade) that it was a hoax - the NHS website on MMR states the site is no longer being updated and the Department of Health has announced an MMR vaccine catch-up campaign. The media, that is, apart from the Telegraph, but it's quality of science reporting has diminished so fantastically over the last while, this isn't surprising. Levels of measles have been rising over the last decade, but perhaps we are at a turning point, as this week, in Scotland the percentage of under fives having received the first dose stands at 95%, for the first time. Nonetheless, one of the many hangovers to come-out of the MMR booze-up was JABS - Justice Awareness, Basic Support. This is a 'support-group' for vaccine-damaged children, or to put it cynically, people whose children have developed problems, which the parents put down to vaccines, irrespective of the evidence. JABS became synonymous with an anti-MMR stance (indeed anti-vaccine in general), and so no amount of evidence would ever convince them of its relative safety. Many articles and blogs have criticised JABS for its terrible 'science' or its abusive nature towards anyone who dares suggest that MMR and autism are not connected. The BBC have stopped linking to JABS after being made aware of the site's contents and there has even been a piss-take set-up. I wrote about their odd ways and their connection with the truly out-of-this-planet-utterly-bananas site, Whale.to earlier this year. With your monitor set to 'Weird Mode' have a look at a JABS conversation here. For three months you've been telling the Science Museum your concerns about MMR - the measles, mumps and rubella triple vaccine. Armed with your questions, fears and arguments a team from the Museum set off to interrogate the major players in the controversy. Controversy? Not for a long time. Hoax would be a better choice of word. Clicking on "What about single jabs?" and then "Where can I get them? ", the Science Museum website happily suggests emailing JABS for some advice. The Science museum suggests contacting an anti-vaccine pressure group on advice for vaccines. Perhaps the Science Museum should be weighing up government advice and making a decision on the evidence rather sending parents, who are trying to do the best by their kids, to rather odd inhabitants of JABS-world. Jackie Fletcher of vaccine-damage support group JABS also offers advice for parents regardless of whether they are opting for single jabs or the full MMR. How balanced an opinion do you think you will get from JABS on this issue? It's clear the Science Museum needs to completely update and revamp its MMR site, and do its part to relegate the MMR hoax to science history. EDITED 17/12/2008: If you would like to let the Science Museum know about their backwards stance on this issue, the contact details are here. Hat-tip to Duck & Tristan @ Bad Science. Media reporting of science is a beautiful thing to behold, and usually dreadfully and woefully wrong. Read the original study and you are pretty much guaranteed to find that the study found almost the complete reverse of what was reported. The Daily Mail recently reported that "Meditation 'as effective as medication' in treating depression" and the BBC followed with "Group Therapy 'beats depression'"
On this one they might have redeemed themselves though, as they’re both only half wrong. What they are talking about is something called Mindfulness-Based Cognitive Therapy or MBCT. Sounds really sciencey if we just use letters. It’s a form of CBT (cognitive behaviour therapy) which is a therapeutic technique that aims to correct behaviours, emotions and thoughts through a goal-orientated approach. It’s actually an umbrella term for a group of cognitive and behavioural approaches, of which MBCT is one. The paper that prompted both the headlines is Mindfulness-based cognitive therapy to prevent relapse in recurrent depression by Kuyken et al from the University of Exeter. 47% of people with long-term depression who underwent the therapy suffered a relapse, compared to 60% of those taking anti-depressant drugs. The trial of 123 people found similar relapse rates in those having group therapy and those taking drugs. So what’s going on? The Daily Mail seems to imply that MBCT is better, while the BBC says they are similar. Is 47% really similar to 60%? Why haven’t they quoted the statistical significance usually denoted as p? Did they forget? Or not think it was very important? Statistical significance is used to test the null hypothesis – i.e. the hypothesis that there is no effect. I worked out p using chi-squared test of significance. I got p=0.12. Normally in biomedical sciences p<0.05 is considered to be significant, and so by that standard we have a null result. In other words, for this experiment, 47% is not significantly smaller than 60%. So the BBC would appear to have got it right. Hurrah for the BBC! 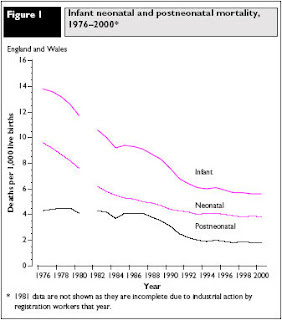 The NHS website, Behind The Headlines, also discusses this paper. It rightly points out the flaws in the BBC’s and Daily Mail’s reporting. It then goes on to give a few more details about the study. The subjects had received MBCT treatment for the previous six months and were now in either full or partial remission and taking antidepressant medication. There were then randomised to receive a further 8 week course of MBCT or treatment as usual, which meant continuing with anti-depressants. The treatment arm were also offered support to withdraw or lower medication. So what exactly is this a study of? The rather innocent sounding (though wordy) title of Mindfulness-based cognitive therapy to prevent relapse in recurrent depression, doesn’t really do it justice. So which one is the control group? Which event do you think might have the biggest impact amongst people with depression? Being told that you were going to get another course of MBCT? Or being told that you weren’t going to get one? Participants would have to be willing to participate in another course of MBCT before they could be enrolled in the study. In the field of mental health, the placebo effect is very pronounced. It is typically damned hard for pharmaceutical companies to demonstrate that their latest mood enhancing wonder drug works any better than the placebo. Tell someone that they are going to receive “therapy” to make them better, and lo and behold they start to get better. Read the literature and you will find that CBT is described as a useful addition to normal drug treatments. So bearing in mind that the placebo effect is very pronounced, what are all these treatments tested against in the control group? Sham therapy? Self help groups? Going to the pub with some friends? They are all compared to treatment as usual, which usually means treatment with anti-depressants. So the effect could simply be down to the “therapeutic relationship” and nothing to do with the actual therapy. It’s not the therapy that’s making you better, it’s the hour a week you have with your “specialist” telling you that his therapy will make you better, that is making you better. Patients getting CBT do better than patients who don’t get CBT, but is it the CBT itself, or the therapeutic relationship that is making them better? It's impossible to tell, until someone devises a placebo based control group. I haven’t found one, but then I don’t have the resources to run systematic searches and analyse the results. If you have a spare afternoon, I guess you could have a some fun searching PubMed. Really? Is meditation as effective as medication? Well, probably not according to the Cochrane Library. They did conclude that meditation was better than no or minimal treatment on self-related depressive symptoms, but not as good as psychological treatments. So it would appear that patients believe that psychological treatments work better than meditation, which works better than nothing. However doctors weren’t quite so sure - the doctors only noticed a non-significant trend that meditation was better than nothing, and they couldn’t tell the difference between psychological treatments and meditation. Why would the researchers of the paper behind the headlines, neglect to mention whether the result was significant or not in the abstract? I wonder if they would have mentioned p if the result had been significant? It’s normal practice to state whether the result was significant or not. Try finding a paper without p being mentioned. I do find the paper confusing, because I can’t work out what hypothesis they are testing. Maybe they don’t mention p because the study appears to be designed to produce a null result anyway. Why is CBT always tested against Treatment as Usual (TAU)? Sure it may be hard to devise and agree on what would constitute a proper placebo, but how else are you going to know whether CBT is not simply itself a placebo? I guess though you’d have to be brave to design a study knowing it could end up disproving years of training and research. Of course, that's no reason not to do it. Napiers Homeopathy - treating the individual person or just True Believers™? OK,OK, it's a loaded question, it may not surprise you to know it's the latter. To be honest, I'm bored of homeopathy. Bored. Bored. Bored. I'm bored of its nonsensical, illogical, deceitful, uncritical, confused, law-breaking, twisted, underhand, conspiratorial, paranoid True Believers™ who are able to preach their religion in the media, often without any critical appraisal by the cut-and-paste journalistas. Nonetheless, to labour the point heavily, one of the mantras trundled out time and time and time again is that homeopathy is a holistic medicine. (It is, in reality, neither of those things, but I digress). It treats the person, not the symptoms; it (depending on who you talk to) readdresses the imbalances in the energy fields allowing the body's natural defences to get to work and recreate health. It is impossible to test by the scientific method because it doesn't work the same way as conventional (euggh) medicine. All of the above are trotted out regularly by True Believers™ of homeopathy and yet a little observation produces a wealth of information that states otherwise. Why don't we all get together and go to Napiers "Homeopathy for Families" workshop in January 2009? Tickets: £20 includes a complimentary bottle of the homeopathic remedy Arnica. OK. Now go through the old 'treat the person not the disease' mantra again and explain how giving everyone a bottle of indistinguishable sugar pills labelled arnica will do that? Where is the 'taking patient medical history', looking at emotional problems and lifestyle and all the other smoke-and-mirrors rhetoric used to pretend that there is any substance to this quackery? Nowhere. Just give 'em arnica and they'll be fine. (Or more correctly, just give 'em some sugar pills, doesn't matter what the label says, it won't do anything other than a placebo effect). Is homeopathy the way to beat winter colds and the flu? No it isn't. However, here we are again with our questioning on 'treating the whole person, not the disease/symptoms'. Homeopathy treats the whole person, not just a symptom or disease. Homeopaths say it therefore has the potential to help people with a wide range of physical, psychological and emotional problems. Up is down, black is white, square is round - only easy to reconcile for the True Believers™. Rosehips for rosy hips? An adventure in PR and churnalism. Avid readers of this humble blog should know by now the sort of fodder that boils up a Thinking Is Dangerous blogpost - dodgy quack medicines being touted as wonderdrugs, newspapers taking no notice of integrity and printing anything that pops into their inbox, the rubber-toothed fight by the Advertising Standards Authority to keep things in check, that sort of thing. Once in a while, a story pops up which presses all the buttons, and with only a whisper of fat-fingered googling, I can sit in amazement watching the pieces of the story happily fall into place like a Christmas morning jigsaw. Once again we'll turn the TID spotlight to arthritis, the Daily Mail, the ASA, and pretty pennies being made. Modern medicine, although coming on leaps and bounds, is still a bit duff when it comes to diseases like arthritis. Outwith mechanical intervention, pain management is about all there is, and even then, the painkillers can have side effects and long term effects that aren't much fun. Put yourself in that position - constant chronic pain, only slightly eased by medication - and suddenly old wives tales, exotic berries and other natural products seem to hold the answer. We can't hope for pill-pushers and nonsense therapy merchants to have much proof, because people buy the dream, not the evidence. We need medicine and knowledge that is evidence-based to be able to base our pain-management approach on treatments that have been shown to be effective. Otherwise, we're throwing our money at the moon. It's funny that the Daily Mail should put this in question form - it had already claimed they 'may reduce arthritis agony' in March 2006, 'tackle inflammatory diseases' in December 2006 and 'helps joint pain' in December 2007 - maybe they weren't sure, but just to drive the point home, they decided it was worth telling everyone again in September 2008 that they 'protect the joints from arthritis'. Why so many touts for the humble hedgerow habitant, rosa canina? Well, it should take you less than 5 seconds to realise that the connection between all the touts is a product called LitoZin. 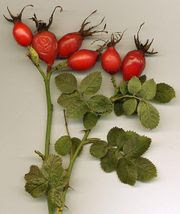 A herbal medicine made from rosehips may regenerate joints in people crippled by arthritis, say scientists. 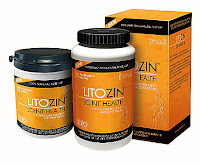 Studies show it can protect the cartilage cells which facilitate joint movement. Researchers claim the red hips - one of nature's richest sources of vitamin C - also improve activity levels by damping down an over-active immune system. The Swiss studies looked at the action of the sugary fatty acid GOPO, the active ingredient in the rosehip supplement LitoZin. Researchers from the department of human nutrition and health in Basle, Switzerland, measured the effects of different doses on human cartilage cells. What a surprise. Now why was that bit left out of the Daily Mail report? The trademark is actually held by Dansk Droge, a Danish company, and perhaps why a lot of the Daily Mail articles refer to scientists in Copenhagen. Now let me make two important points - firstly, the research may be of an astounding quality and impeccable beyond reproach. However, the fact that Daily Mail hides this information makes me think maybe it isn't. Also the fact that it is "announced at the Osteoarthritis Research Society's International World Congress in Rome" rather than in a peer-reviewed research journal means it's difficult to find out what went on. Secondly, there may well be some active ingredient in rosehips worth looking at, but, as I said above, with products like these, good research does little to enhance the sales, because people are buying a dream, regardless of the evidence. 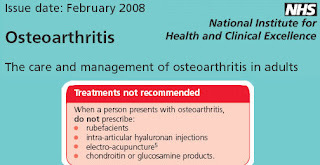 (I'll also remind you that we arthrites seem to be particularly susceptible to placebo). Why bother putting together a large well-run trial, when the same sales can be achieved by 2 or 3 small irrelevant ones? So to recap, Daily Mail has published, on 5 separate occasions PR fluff from DSM (or their UK distributors - LanesHealth www.litozin.co.uk, or online from www.arthritis-relief.co.uk) citing little/no firm evidence but being suspiciously cagey about where the evidence came from. Such is the state of churnalism in the UK press - the stories we read are there because they help line the pockets of the pill peddlers (and their PR agents) and nothing to do with public service, furtherance of scientific advances or importantly, helping people suffering from arthritis, except to empty their wallets. One organisation who decided the evidence is absent, is the bastion of company's claims in print and other media, the Advertising Standards Authority. I've written about the ASA on a number of occasions, and praise them from the rooftops. My angst with them is that they have no power and no bite, save producing indirectly a few bits of negative PR. Healthy Marketing Ltd (trading as Woods Supplements) came up against the ASA this week (15th Oct 2008). A direct mail catalogue had a claim, headlined "Rose-Hips may Ease Arthritic Pain ... ", appearing next to an image of the Daily Mail article headlined "Are rose-hips the answer to the agony of arthritis? ", which stated rose hips had an unknown active ingredient that affected the blood cells involved in inflammatory and immune responses. The catalogue contained a myriad of en vogue health supplements which you can enjoy at your leisure. We noted some references to clinical trials but that there was not enough information for us to assess whether the trial was valid or supported the claims. We therefore considered the information provided was insufficient to substantiate the claims made about the benefits of the supplements. We concluded the claims had not been substantiated and were therefore misleading. So there you have it. Unsubstantiated and misleading. In the interests of disclosure, I should mention that I eat rosehip syrup quite often. Not for arthritis, but because rosehip syrup is easy to make, cheap and fantastically tasty with greek yoghurt. Maybe one day the pill peddlers will carry out a well-run clinical trial on rosehips which will warrant me to really indulge. Is this dubious Seven Seas marketing trickery? This week, I blogged about the GAIT trial, or Glucosamine/Chondroitin Arthritis Intervention Trial, which was a large randomized, placebo-controlled trial conducted at several sites across the USA comparing glucosamine & chondroitin with placebo and paracetomol for arthritis. We've got the trial out of the way and we know that the results, although interesting, really confirm what we already knew about glucosamine, in that it's not a magic pill. It's just a pill. A pill that us highly suggestive arthrites rely on, perhaps, for pain relief as placebo, but with no actual effect. Now comes the odd part. If you type "gait trial" in Google in UK, the first hit is www.GAITtrial.co.uk. If you go to www.GAITtrial.co.uk you are presented with a very professional website, made to look like it has some affiliation with the GAIT trial mentioned above. However, there are only two pages and no details about who has written it or who they are representing, but it helpfully gives us a few links at the bottom to where we can purchase some glucosamine. Secondly, the links at the bottom of the page are suspect - the first two, for Boots and Health Perception don't work, but the third for Joint Care does and it takes you to the Seven Seas Joint Care "Everyone needs healthy joints" website, advertising all manner of glucosamine pills. Is it a coincidence that only the Seven Seas link works? Well, possibly, but another website, also designed by Two's Company Design Studio Ltd, which discussed the GUIDE study , a small European study that gave weakly positive results for glucosamine, the same thing happens. As an observation, whoever "sabotaged" the links did so in two different ways on the two sites, implying that only one link is supposed to work - the Seven Seas one. Is this Seven Seas gently directing people to its site using false, hyped-up information, but without explicitly having to make the claims themselves? I'm genuinely interested in what you think. ... and I wonder why that would be? The National Institute for Health and Clinical Excellence published a handy guide with its recommendations for health professionals - the information above is taken from it. ...there is very little medical evidence to back up the effectiveness of supplements, such as chondroitin and glucosamine. Although there is little medical evidence to back up the effectiveness of glucosamine hydrochloride, recent research has shown that taking glucosamine sulphate (which is found in healthy cartilage), or fish oils, may have positive results. However, the NHS cannot recommend, or prescribe, the use of glucosamine sulphate because it does not often prove to [be] cost-effective. Hardly a resounding endorsement. So what is that "recent research"? Well, unfortunately, the NHS page doesn't give the reference, but I'll bet that it is probably the GAIT trial - The Glucosamine/Chondroitin Arthritis Intervention Trial, which was a large randomized, placebo-controlled trial conducted at several sites across the USA. The National Centre for Complementary & Alternative medicine (NCCAM, who were involved in the trial) in the US has an excellent Q&A. They freely admit that because of the small numbers in this subgroup, they were unable to to demonstrate statistical benefits, and requested further research. Glucosamine seems to be less useful when a person has more severe pain from arthritis. ...the high rate of response to placebo (60.1 percent) and the relatively mild degree of pain from osteoarthritis among the participants may have limited our ability to detect benefits of the treatments. Elevated rates of response to placebo have been reported in other osteoarthritis trials and may relate, in part, to patients' biases and expectations and to the enrollment of patients with relatively mild symptoms of osteoarthritis. I'm pretty sure we all know of people who have arthritis who swear by some secret natural pain-reliever such as honey & ginger hot drinks or cider vinegar - this study seems to suggest that we arthrites will respond well to a raft of placebos; anything to numb the pain! If it "works", that's excellent - stick with it. I have my own placebo, and I know it's a placebo, but a double of Highland Park Whisky with one piece of ice (just one, mind) seems to do the trick and it's more fun than cider vinegar). The researchers looked at the reduction in joint space width and found it had decreased less than they had expected which made the analysis more complicated. It's fair to say though that the scientific self-criticism that the press release acknowledges is something that we could do with seeing a lot more of in the CAM world this side of the pond. Research continues to reveal that osteoarthritis, the most common form of arthritis, appears to be the result of an array of factors including age, gender, genetics, obesity, and joint injuries. or in other words "It's probably a bit more complicated than that", a phrase which should be used much, much more than it is. At this point in time, none of the UK newspapers have picked up the story (from credit crunch to bone crunch? ), although I did find out that Chesney Hawkes had some cartilege removed from his hip and guess what? He now takes glucosamine.